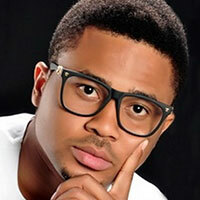 Nollywood movie star Mike Godson has signed a deal with Bollywood producers to feature in an English-language TV series on Indian broadcaster Zee World. Godson, who will appear alongside stars from other African countries in the yet-to-be-revealed series, said: “I’m super excited because we are going to be telling those Indian love stories the African way. All the Zee World lovers, stay tuned.” He made the announcement via Instagram. Godson has previously featured in movies such as Love Bond, The Chosen Child, The Prince & The Slave and 7 Books of Moses. He was named Best New Actor of the Year at the 2015 Classic Africa Merit Awards. Hispanic broadcaster Telemundo and Indian-owned channel Zee World have responded to recent accusations that they are flooding Nigeria with foreign programming. Last month, in an interview with the News Agency of Nigeria, veteran Nollywood actor Chika Okpala called out foreign TV networks for their role in pushing Nigerians to overlook indigenous TV drama in favour of foreign content. Okpala cited Telemundo and Zee World by name and said Nigerian productions were “suffering” because of the growing popularity of shows supplied by these companies. Content Nigeria contacted Telemundo and Zee World Nigeria to get their opinion on Okpala’s comments. Daniel Modern, regional manager of Telemundo and Zee World Nigeria, said: “We came to Africa because we saw a need for rich content that would appeal to viewers. Telemundo and Zee World consistently air programmes that draw their audience in, from telenovelas to cookery shows. “To address Okpala’s comment, I would say that the reason why viewers are drawn to our shows is because we offer them something they want. Most of our telenovelas are based on romance, family, culture and tradition and the everyday life drama, which is something that greatly appeals to our Nigerian audience,” he stated. 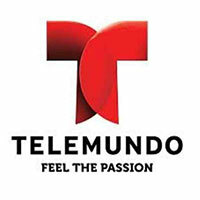 Telemundo is a US TV network aimed at Spanish speakers and owned by cable group Comcast. It debuted on African pay platform DSTV in 2013. Some of the telenovelas it has aired since then include My Heart Beats For Lola, Aurora, Behind Closed Doors and Woman of Steel. 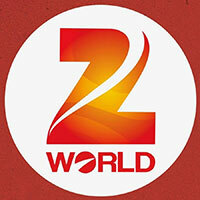 Zee World, meanwhile, is an Indian channel that launched on DSTV in 2015. Some of the TV dramas it has aired since include Krishi, Twist of Faith and Saloni. Veteran Nollywood actor Chika Okpala (fka Zebrudaya) has called out foreign TV networks like Telemundo and Zee World for causing Nigerian viewers to ignore indigenous content. In an interview with News Agency of Nigeria, Okpala shared his concerns over sitcoms produced in Nigeria and their lack of sponsorship. “Foreign soaps, like Mexican ones, Telemundo, Zee World and the rest of them have flooded our TV screens and our indigenous TV drama series are suffering. Popular programmes The New Masquerade, Cockcrow at Dawn, The Village Headmaster and others were left to slip away,” said Okpala. Okpala believes sponsorship is vital to producing top-notch TV drama, saying that most of the old sitcoms stopped airing because they lacked support from sponsors. Foreign networks are not helping matters because they have drawn Nigerian viewers to them, he claimed, leaving very little viewership for the indigenous sitcoms still airing. Okpala insisted that if local sitcoms are produced and sponsored it will support the livelihoods of many more people, which will boost the country’s economy. 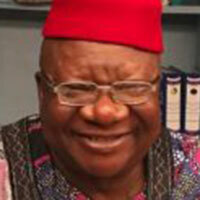 Okpala is best known for his role in 1990s sitcom New Masquerade.